For a second straight year, the Canal Corporation Board of Directors approved a plan to waive tolls for recreational vessels on the Erie Canal in 2018. The waiver was announced in February at the New York Power Authority and Canals Board meeting. 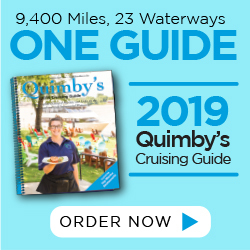 Tolls, normally $25 to $100 for a season pass, depending on the size of the vessel, were waived last year to celebrate the bicentennial of the construction of the Erie Canal. This year is the 100th anniversary of the current 524-mile state Canal System, which opened in 1918. The New York State Canal System is the third generation of the iconic Erie Canal, which opened in 1825. The current canal system links the Hudson River with the Great Lakes, the Finger Lakes and Lake Champlain. 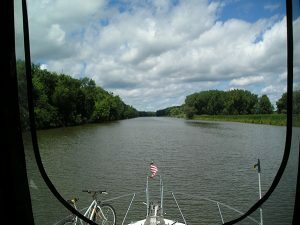 Navigation on the Erie Canal is expected to begin May 15 and continue through Oct. 10.